In order to promote the mutual understanding, cooperation and exchanges in various fields between China and other countries, the Chinese government has set up a series of scholarship programs to sponsor international students, teachers , and scholars to study and conduct research in Chinese universities. 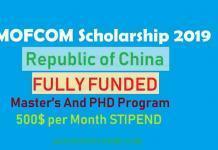 Chinese Government Scholarship programs sponsor international students, teachers and scholars to undertake degree studies (bachelor, master or PhD) and Chinese language study or academic research in institutions of higher education in China. 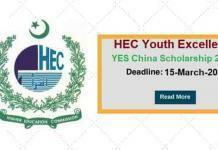 HEC Chinese Government Scholarship covers both major study and Chinese language (preparatory) study. There are 289 designated Chinese universities offer a wide variety of academic programs. 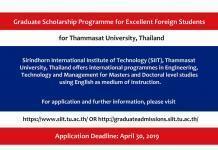 Travel expenditure would be borne by the scholarship winners themselves. HEC will have no financial responsibility. 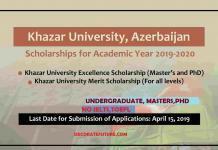 ​Submit the online HEC application form available at HEC E-portal at the website (Link Given Below) and retain its printed copy. For detail instructions about the Chinese Govt. 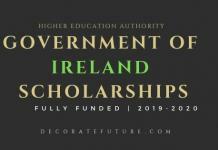 Scholarship and applying procedure please follow the link and fill the Chinese online application carefully (Link Given Below). Copies of applicant and father’s/Guardian’s CNIC. Copy of HEC online submitted form. All educational degrees & transcripts from matric to last terminal degree attested by HEC & IBCC. A photocopy of valid passport information page. Two recommendation letters in original. Two copies of the applicant’s statement of purpose. Original health/fitness certificate is applicable for more than 06 months. Non-criminal record from police Department. In the case of employment, No Objection Certificate (NOC) from the applicant’s employer will be required from shortlisted candidates.